We received a Japanese ghost book as a gift and decided to find out more about it! This week we used pipe cleaners and straws to make straw bracelets – a perfect fine motor skill activity! These craft stick photo puzzles are fun to play with and also make great gifts! I used my son’s artwork to make these super easy AND frugal personalised magnet gifts. Recently we were invited to try out a new Lego rental service called Pleygo. Here’s what we thought about it. 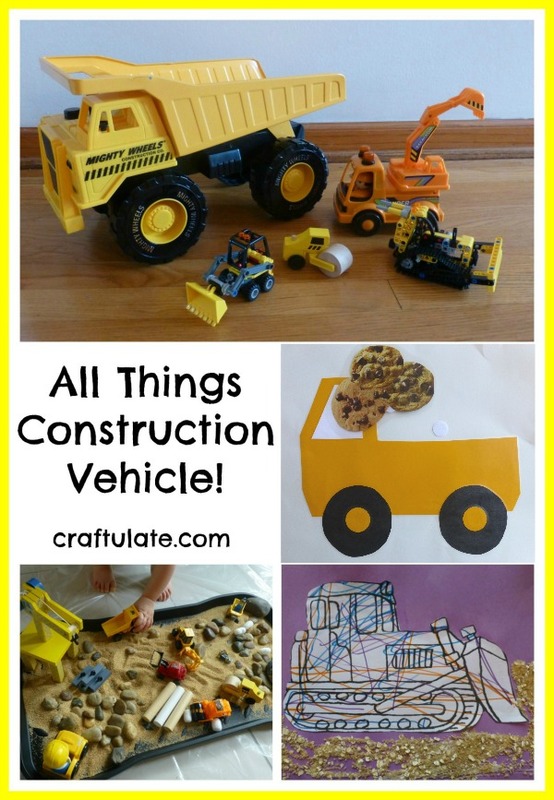 A great collection of art, crafts, activities and more that all feature construction vehicles. It’s the second week of Fine Motor Fridays! We had SUCH fun with this spray painting activity, not least because it also included bashing chalk and spraying water! We got creative with this fill-a-truck fun activity! As I have absolutely no experience at carving pumpkins, we tried out three kid friendly pumpkin decorating ideas that don’t involve carving! These play dough birds are a fun fine motor skills activity that was super quick to put together – and I just love the results! I had such fun crafting this spoooooooky Halloween wreath!